Have no fear! 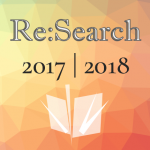 You can still submit to Re:Search. While our past submissions have predominantly focused on literary/film/etc. analysis, part of our vision for the future of the journal includes expanding our scope to represent more of the undergraduate research being conducted by students in other departments within the humanities or social sciences. This includes topics related to cultural studies/cultural criticism, analyses rooted in historicism, biography, or artistic or social movements, and so forth. While, of course, we would love to try and find a way to incorporate textual analysis or arts-related content into your research question, it is not necessarily a requirement for publication in the journal. If you have any questions, please do not hesitate to email us at uiuclitjournal@gmail.com. Hello! Our OJS Workshop is coming up soon–this Wednesday, October 26th at 5 PM in EB 108! At this session, we will help authors who wish to submit to the journal register with the online Open Journals System and offer guidance to anyone struggling with the submission process. Please bring your laptops! If you are unable to make it, please follow the step-by-step submission instructions here: ojs-author-instructions! As a reminder, we cannot accept submissions that are emailed to us or submitted through any platform other than the Open Journals System. Proposal Workshop & Info Session! If you are considering submitting a proposal to Re:Search, or are curious about other ways to get involved, consider attending our Proposal Workshop & Info Session on Wednesday, October 12th at 5 PM in the English Building (Room 108)! We will provide nourishment (likely Jimmy Johns)! At the workshop, we will go over sample proposals, discuss the format of submissions, review author guidelines, and introduce our submission platform–the online Open Journal System! This workshop is a great opportunity to ask us any questions you may have about submitting to Re:Search, or simply learn more about the journal. If you have any questions, do not hesitate to email us at uiuclitjournal@gmail.com!